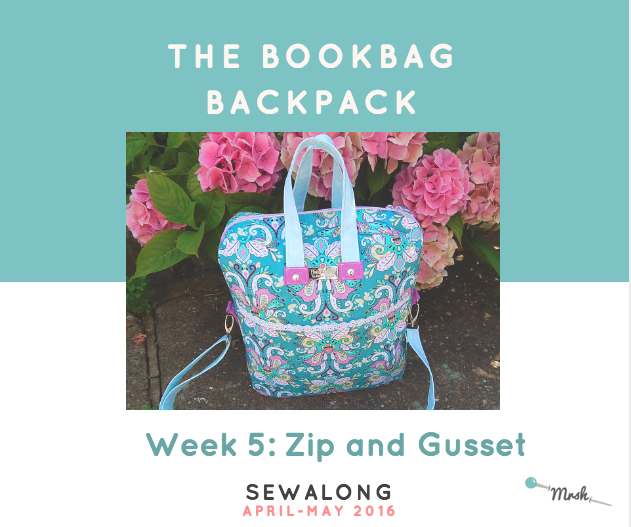 Today, as the title very well suggests, we are going to tackle the zip and gusset! First, fold the two short ends in 1/4” (6mm) on a strap tab (F) and press well. Fold the strap tab in half lengthwise and press again. Next, unfold and then press each long raw edge into the centre crease and press. Top stitch along all four sides. The two raw edges will still be visible on the back of the tab. to secure. Repeat for the second strap tab (F). Then, stitch the finished tab pieces (F) onto the side gusset ( C) centred and with the top of the tab, not the ring, 1” (2.5cm) from the top using a cross within a square. Repeat for the second tab piece (F). You can reinforce the cross-body strap with rivets, if you wish. Especially if your fabric is particularly thick, you may wish to use two rivets to secure, instead of the stitching. If using a single zip, you will need to prepare the zip by sewing the zip ends together at the open end. Next, take one of the outer zip gusset pieces (D) face up, and lay the zip face down along one long edge. Lay one of the lining zip gusset pieces (D) on top, right side down and stitch using your zip foot. As always, for really neat zips I recommend an adjustable zipper/piping foot. Once this is done, fold the fabric back and press well. Top stitch along the zip edge. Repeat for the other side of the zip gusset pieces (D). Trim the zip gusset to be 4” (10cm) wide to match the side gusset (C ). Do not trim the zip tails. Next, lay the side gusset ( C) face up with the zip gusset face down (D) matching short edges. Pull back the zip gusset lining (D), pin it out of the way and stitch the short ends, just outer fabric together. It's helpful to trim you stabiliser. 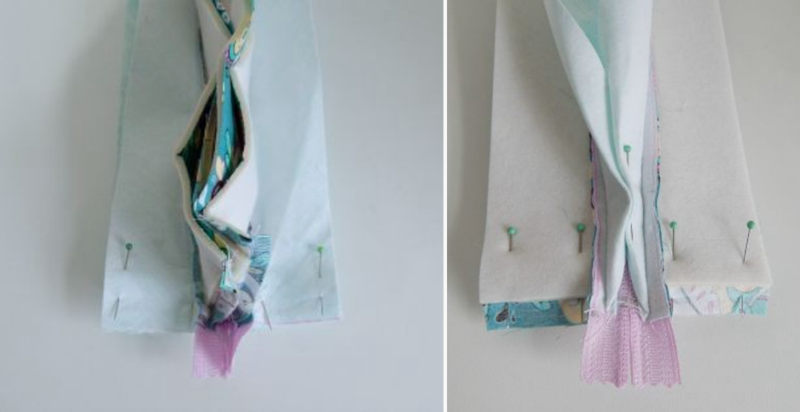 After you pin and before you sew, check once again that your gusset is looking the way it should! 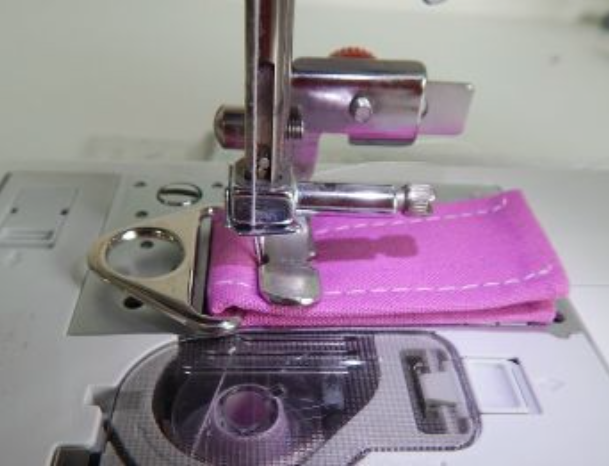 The zip gusset should be sandwiched between the side gusset and the gusset lining, like in the photo below. 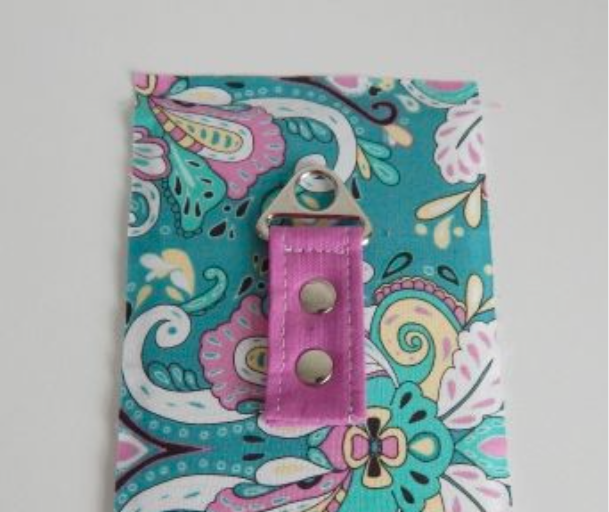 Once you sew the gusset to the zip gusset, your zip will be enclosed beautifully, like this! Hooray! Another part of the Bookbag backpack is done!